We start the New Year with business from last Christmas. 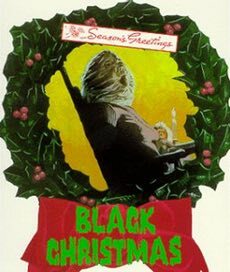 Alexander, Chris and William open the gift of the 1974 horror classic Black Christmas. It's the Canadian thriller that became the template for countless slasher imitators and inspired a theme song by William. Alexander asks if it is a feminist movie? IMDb links to the movies mentioned in this episode are here: Black Christmas, Blow Out, Peeping Tom and Halloween.